I also dont like it when people judge me and especially wrongly.But nowdays it doesnt affect me as much as it used to awhile. I needed to read this today. I spent way to much time last week being angry with mean and hurtful people. It is hard not to be bitter and to want revenge when they make your daughter cry. Thanks Launna. Of course you are more than good enough, you are terrific. Being afraid of the society makes people do things that they would not do otherwise. You post is full of wisdom. Thanks. Ciao, carissima Launna, che bel post, mi piace molto leggere i tuoi testi!!! Buona domenica e un grande abbraccio. A post full of wisdom. It's not easy to see ourself as we really are when we feel judge by other but it worth the pain. I think we are all guilty of judging someone one time or another. It can be so easy to do and we often don't think about other peoples feelings. I find since I have grown older I don't like to judge people at all. Most of the time the person being judged is the total opposite. 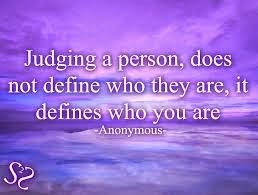 All true words Launna...I've always despised how judgemental people can be, but I'm one to talk--I do judge time to time, however much I wish I didn't. It's true that those who judge others are only reflecting their own fears and uncertainties. We can't always be worrying about whether people are going to judge us for what we do...I know I do have issues with this--I spend too much time worrying about what others think. Insecurities don't help us--it's only human nature to automatically judge, so we shouldn't be so fearful of what others think. If we do so, we'll always stay in the same place, never moving forward. ..and that's what's frightening to me. I want to be a better person, day by day, and being judgemental, bitter, or insecure won't help. I'm not proud of it but yes, I have judged people whom I don't like a couple of times and like you said I usually do that if they do the same to me. So I guess Fear and Judgement truly go hand in hand. I am trying to let go of it but old habits do not die easily. On the contrary I have found that judging has sometimes helped me by not befriending Cons. A lot of my friends have fallen pray to such situations. That way I'm kinda glad that I judge sometimes. Totally agree Launna, I don't like when people judhe me! Great words darling, Tnx for shoring this post! Judging is part of the human being, but when we do it, when just want to underline that another person is worse or less amazing or less intelligent than we think we are. Judging does not help us find a inner peace. I love your quotes and always find it very inspirational. Hi sweetie!!! Happy Women's day! Thanks for sharing this lovely post. Very inspirational and uplifting! Very interesting idea for a post! Some people judge when they don't even know the details or person! I'm happy you are rising above that. Hope you had a great women's day!! I think that people who judge others harshly and/or gossip about others are usually insecure in themselves. For example, if someone gossips about others they are taking the focus off of themselves and they think they are making themselves look good, but it is actually quite the opposite. 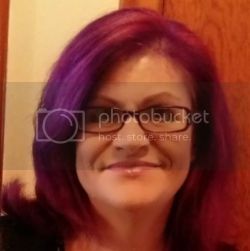 Great post and insight, Launna, thank you so much for sharing. I love the part "just because someone says something, doesn't make it true". I have really struggled with this in the past. I take every comment and criticism to heart and want people to like me. I agree that when people judge, they are reflecting their own insecurities. Being confident and not caring about others' judgements is a work in progress for me! Ugh, I can relate. I tend to take what people say about me very personally. Even when I know that it doesn't make sense or just isn't true, I hate it when people have the wrong impression of me and don't like me. And it's silly. I shouldn't care. I don't like when people judge me specially when they don't even try to know who I really am. Wish you a great day my sweet Launna! Judging people is easy to do.....too easy to do.....but it only leads, as you so wisely say here, to judgements about yourself. Better by far to live and let live even though this is so much easier said than done. Criticism is never easy to take but when meant well and with positive suggestions then one can really develop emotionally from it. However, negative comment without any sense of positive thought is incredibly destructive. Yes, one must make strenuous efforts not to be led into the spiral of negative thought. This is definitely a post that should be shared with so many people Launna and you're so right about letting anonymous comments or mean judgements go is not something that comes easily, it's very inspirational you work on it daily and takes so much strength. I think every blogger knows putting out their thoughts is opening themselves up for judgement, but in a way it also makes people become stronger. :) Very thoughtful post for people off all ages from grade school to adulthood. Such beautiful post...Love your words..so thoughtful! I sometimes feel people have no right to blurt things to others when they dont know one well. I've experienced it in my life too and I admit it gets annoying and stressful with so much negativity! But you're one courageous lady Launna! I've never met someone as optimistic as you! Great post! I also dont like it when people judge me and especially wrongly.. Passing judgement isn't necessarily a bad thing. The problem is when judgement is passed unfairly, based on falsehoods and misconceptions. Our survival, both emotional and physical, depends on our ability to demonstrate sound judgement about other people, and to determine whether they're good for our well-being or whether they're toxic. As nice as it would be to open ourselves to loving friendships with everyone, some people are best kept at arm's length. Judging is indeed necessarily not a really a good part. I think we should not judge each other. Most of the time people are wrong! Judging is not a good part of life, but I think most of us are guilty of doing it without even thinking. That first look at someone - we judge. Their first few words - we judge .... who are we to judge, are we always right? No the times we get it wrong - but still we judge. Does it get easier the older we get? I wonder? What a thoughtful and inspiring post. 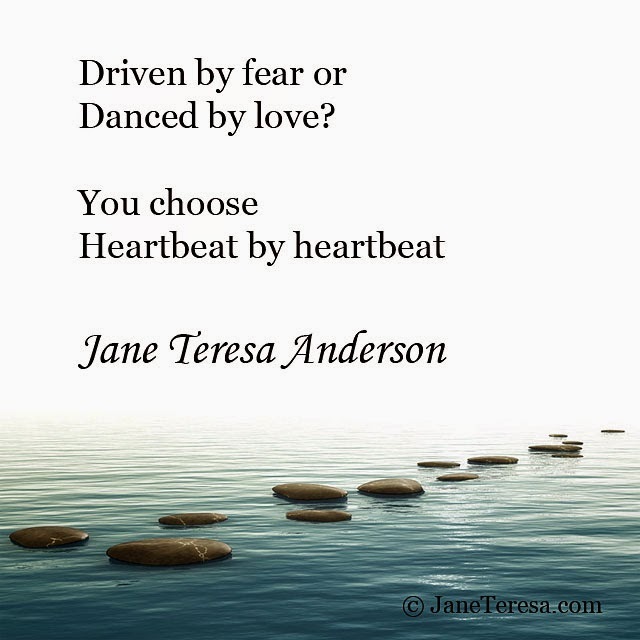 It is true that when we judge people we are usually putting our own fears and insecurities on them. I think we judge sometimes without thinking. In most cases if we knew more about a person then we would understand their actions. I try to remember that, but it is always good to be reminded about why it isn't a gsood idea to judge others. Thanks for sharing. This is very true dear *when someone is judging me, they really are reflecting their own fears and insecurities about themselves...* I agree with you. Launna today I am feeling like hugging you in real, don't know why but want to sit and talk to you and share! You are such a sweetheart and I am thankful to this blogging world, as I met you through this! wise words. I can barely keep myself from snorting when people say they don't judge. I'm the first to admit that I do it. all the time. I think it's human nature. literally something in our genes that helps us make sense of situations and to protect us from potential harm. the key is, as you said, to stay mindful and aware of it, and to find out when we correctly assessed a situation or person as a threat and when we are acting out of insecurity and fear. Thanks for those marvelous words!! Very inspiring dear! Hi my sweet Launna, wish you a great day! I know from work, its so much easier for people to tell you what you've done wrong..than to ever mention.. "Good Job." But what is even worse is when I have a co-worker who will give back something that needs fixing..but then won't tell me..what's wrong..you have to guess. Oh..the mind games. So sometimes, I do wonder if I deliberately do things "wrong" just to aggravate her. It is hard to be nice to people. Still, I enjoy customer service more than they do. I do like getting to people and to listen..especially, to at least sense what its like to be in their shoes and to hope to find a 'solution' to the problem. I think you should go ahead and say, "That is not who I am" because you ARE better than that. ;-) And it's so true that people are going to judge no matter what. I look at the Facebook comments to news articles and just wait for the the train wreck. It might be a positive story where a lot of people have positives to say and then there's one person who you just read the comment and shake your head like what is their problem. I have to remember what you said about that they are just reflecting their own insecurities because that is who THEY are. So true we have all felt the sting of bieng judged. Anonymous people can be the cruelest of all. I feel sorry for those who want to take others down instead of supporting each other. Use it as a reminder of how you don't want to be. Well uttered, Launna. We should stand above such people and forgive them coz doesn't it make them more mad that we are above them? I do admit though that sometimes it feels really good to to get back at such people especially when they have been such bad people. It is like releasing a load of bad energy out of your system. It really takes a mature and tolerant person to be able to forgive and move on. Ah yes, Launna. Thank you for your concern and prayer. I'm so glad we are FB friends. You're one of those blog friends who saw my sis's whole head of stitches and scars on FB. I think she is so cool with those battle scars to show what a fighter she is. You're a good fruit and vege girl! I should try to eat healthier like you too. I'm curious as to why you don't eat fish and seafood. Is it due to allergy or preference? You could be a lacto vegetarian and that's also great for health and the environment. Kudos! I think everybody hate judgung people, but nobody think about it when has a chance to judge! The best thing is don't care and go on, you know they say "haters gonna hate", isn't it? I really think you should not even consider this kind of silly bad comments, as you say people who don't know you can't judge you! Well, these are the risks of Internet and saying publicly what you personally think/have to say. i agree with this Launna. I think judging others is an attitude we have towards ourselves because we're too scared to admit our flaws and wrong doings hence, we tend to put others down to put ourselves on top and not feel bad about it. it's nice to read your posts Launna, I find there are strong cues to reflect and grow from within. seja contigo por onde andares. Thank goodness I stumbled upon your blog. I am in love all the inspirational quotes and you as a person! And I so agree, people judge no matter what... So let's give 'em even more topics to talk about!!!! Hi dear Launna. Atlanta has all kind of virus going on all year round and next is springs pollen poison I will be getting that for sure at least three months till spring over, it's awful just to think about it. I'm not looking for spring in Atlanta at all which only me who's sick but most people in town been sick is as I am too and the doctor here can't do much just lets spring time go by and we wil get better! Oh Launna I hope that insecure woman leave you alone one day that's so annoying I know! Next time just say something back at her face like "oh really" when she ever say something nasty to bother you again, she difnetely need a life. I don't like this type of people so annoy. I wish you and Valentina are well:). My first sick boy just feeling better and went to school today but the other twin is taking over today and home with mom! Hope you are having a lovely day Launna! All the best! I agree completely! I wish I could proudly say that I don't judge anyone around me, but it's so hard to get rid of this habit, especially since it's not long ago when I was an angry teenager. But as you said in a previous post, it takes 21 days to break a bad habit! Today I sent an e-mail to my webmaster 'cause he's travelling, I really hope he can fix the commenting problem on my blog soon! In the meantime I'll keep googling for possible solutions :) Fingers crossed!! I love this quote Launna. Judging others is not about them but us. Have a beautiful day out there. Sending you a ton of hugs You shine. You really do. So true!! I love your posts!! I try not to judge too, but like you said I think we all do it to some degree even when we don't want to. 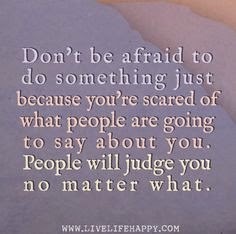 I agree judging others has to do with fear and also with not being able to understand someone else's perspective. Hey! About fair trade- totally, I am willing to pay more. Unfortunately, I don't always have the extra cash to, but when I do, I do! Gosh- I was just reflecting on judgement and where my faith journey truly is- and boy is it not where I want to be! Work to be done! Wauw Launna! Really love the layout from your blog! It's so pretty, just like you. Hope that you are doing fine. Have a great weekend! I love the look of new blog Launnna! It is always one of my goals to not judge so much. I do it without even realize I am doing it sometimes! I think the internet kind of fuels that, but definitely something we can all work on! have a nice day dear Launna!!! Have a great weekend Launna! Great post!!!Amazing! Tanti tanti saluti!!! Un abbraccio!!! E' bello venirti a trovare nel blog! Sei molto brava!!! I love post!!! Splendido fine settimana. Tanti cari saluti. Launna, did you just change your blog template? I love whiteness and space and I love your new look! Aquele perfume é diferente de todos os outros que eu já experimentei. Gostei muito! Infelizmente julgamos, mesmo quando não temos a intenção... Mas isso é algo que pode ser mudado. É só se colocar no lugar da pessoa que está sendo julgada e perceber se isso é realmente certo. I hope you have started sleeping a little, I know what a restless night can be. 'Judgements are just fears that we are not good enough' this is so true. one must conquer his or her own fear to appreciate the inner strength. everybody has got the power to change - ones mind, ones life. one must only be ready to do so. So true statemens. Especially the first.